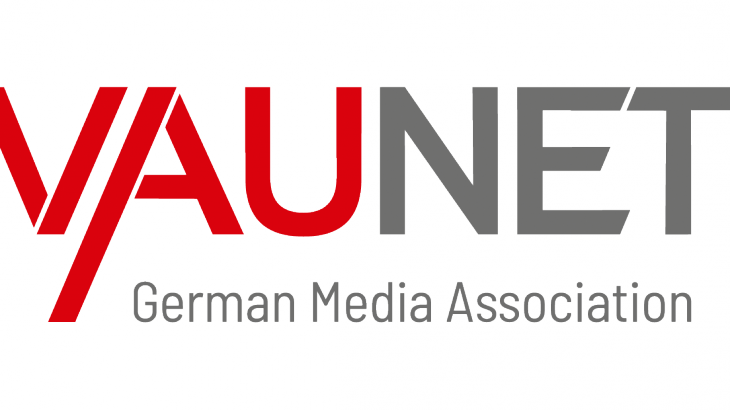 The German Media Association, Verband Privater Medien e. V (VAUNET), was founded in 1990 after the merger of two associations: the BPRT (Federal Association of Private Broadcasters and Telecommunication) and the BKS (Association of Cable and Satellite). Previously called VPRT (first Verband Privater Rundfunk und Telekommunikation, later Verband Privater Rundfunk und Telemedien), the Association became VAUNET on May, 21st 2018. VAUNET represents the interests of more than 150 companies in the fields of television, radio and telemedia including video- and audio-on-demand services, user generated content platforms, social media and teleshopping. VAUNET is a registered non-profit association. It has five main bodies: the general assembly, the board of directors, two executive committees in the respective areas: Radio, Audio Services, Television and Multimedia as well as an advisory committee, the Technology and Innovation Forum. VAUNET represents the interests of its members on a national, EU and international level. Like AER its main objective is to develop the most suitable legal framework for private commercial radios. VAUNET follows EU and national political developments in the fields of media, advertising, telecommunication, copyright and private radio transmission in order to contribute, enrich and develop the radio sector. VAUNET negotiates and concludes framework agreements with collecting societies as well as with cable operators and advises its members on technical, legal, economic and media policy issues. VAUNET headquarters are in Berlin with currently 14 staff members. VAUNET also has an office in Brussels. VAUNET is a founding member of AER.